Burglary and aggravated burglary are serious, felony-level offenses in the state of Ohio. If you have been charged with burglary or aggravated burglary, you need to get adequate legal representation to help you prepare your defense. If you are convicted, you will have to pay a significant amount of money as a fine and face a potentially lengthy jail term. Your now serious criminal record will also make it difficult for you to find future employment. It is in your best interest to treat your case seriously and secure help as soon as possible. Contact Attorney Adam Burke for your free consultation at (614) 280-9122. The complete law is more complex than this, of course, and is interpreted differently for every case. But the gist of the law is that you may be charged with burglary if you were suspected of trespassing in someone’s property with a criminal offense in mind. You will notice the words “intent” in the law often. This means that you do not have to commit a crime, you just need to have the intent to commit a crime to be charged with burglary. Intent can be difficult to prove in court because of the lack of evidence, so burglary cases may be defended against successfully with the help of a lawyer. had a deadly ordinance or a dangerous weapon with you or in your control. A burglary may be a 4th, 3rd, or 2nd degree felony. A 4th degree felony involves a stay of 6 to18 months in prison, with fines of up to $5,000. A 3rd degree felony involves a prison term of 1 to 5 years, with fines of up to $10,000. A 2nd degree felony involves a prison term of 2 to 8 years, with fines of up to $15,000. If you have been charged with burglary, it is important to hire an attorney to help you with the best possible defense for your case. Attorney Adam Burke is an experienced and qualified attorney who will hear the facts of your case and discuss all your options with you. 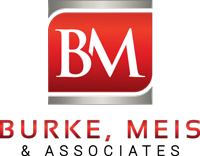 Contact Burke, Meis & Associates now for your free consultation at (614) 280-9122.